Packing properly is essential for your epic hike on the Inca trail. You need to know exactly what to wear when hiking the Inca trail because packing for it can make a huge impact on your trip. We packed to our best knowledge and even then we missed some important things. Now that we have lived and learned, we want to help you by sharing our ultimate guide on packing for the Inca trail. Our guide will include our favorite and top picks from Amazon that we know will be useful to you. We are your one stop shop when packing for the Inca trail. The first thing you need to know when packing for the Inca trail is the difference between a personal porter and a group porter. Why? Because depending on whether or not you hire a personal porter will decide how much you really need to pack. A group porter is always included in your trek to Machu Picchu, but they are only responsible for carrying the tents, cooking equipment, sleeping mattress and if you are lucky, your sleeping bag. Whereas, a personal porter is able to carry anything you want up to a certain weight. For us, a full personal porter for $120 and was able to carry 12kg (26 lbs) and a half porter for $70 could carry 6kg (13 lbs). We highly recommend everyone hire a personal porter because it will make your journey more enjoyable. Please also remember to tip your porters, they more than deserve it. The best way to be prepared when packing for the Inca trail is LAYERS! You want to wear quick dry(wicking) shirts and layer with jackets. As you start your morning hike it is very cold, but as your body warms up, you will slowly want to start taking off layers. You will also want to be sure to pack warm for your campsites. Once the sun has gone down, it becomes cold again and it only gets colder while you sleep. When you purchase your clothes, be sure you are paying attention to the material – lightweight, breathable, quick dry and moisture wicking is the best hiking gear for the Inca trail. Moisture wicking underwear is great for both men and women . We know this is not a fun topic, but let’s face it, some of us sweat a lot and there is nothing worse than sweaty underwear. For women, moisture wicking underwear is important because you can develop a UTI more easily. We recommend four pairs of moisture wicking underwear . Ladies, you typically have a good sense of what your body desires, so pack what fits your comfort. Just take in mind the sports bra you should be packing for the Inca trail is something lightweight, breathable and supports light activity. Christina recommends four sports bras for the trip. Thermal layers are perfect for those very cold mornings and nights on the Inca trail. We hiked in June and wore them every day, but found them essential on the second day. If you are hiking during the colder months of the year, it is best you wear them every day. We recommend packing at least two pairs. You are going to want breathable, lightweight, sun protection and quick-drying polyester shirts for your hike. There are several brands that make well-designed shirts, such as The North Face, Columbia, Patagonia and Adidas that include every feature in their clothes. Whatever you decide, do not wear cotton! Cotton does not dry quickly and when it starts to absorb moisture it will make you cold and weigh you down. You will already be hiking in cold climates, so once you start sweating in cotton, it will be game over for you. We recommend at least three short sleeve shirts and one long sleeve shirt . Hiking pants are the best for hiking the Inca trail (for obvious reasons). If you tend to get warm quickly, then convertible hiking pants are the perfect pair for you. They are both comfortable, light and easy to use. They are also great to save space in your bag with their 2 for 1 deal. When you are packing for the Inca trail, you definitely want to be comfortable. So ladies, pick the type of pants that best suits you. Christina packed two hiking pants and two leggings . She ended up wearing leggings every day, but would wear the hiking pants over her leggings. If you do love hiking in leggings (which is definitely more comfortable), be sure to purchase leggings that are quick dry. We recommend at least two pairs of pants. You never know when one can get too dirty or ruined. A vest is perfect for those who do not like to wear too many layers or a heavy jacket when hiking. Wearing a vest with a long sleeve shirt will help keep your body warm and stay light weight. This was Shelby’s go to outfit to stay warm, but light during the trek. One vest will be perfect for the trek. We enjoy a triclimate jacket because of it’s versatility. It’s essentially a 3-in-1 jacket that can keep us warm during any weather conditions. If we were ever too warm, we could easily unzip the outer jacket and only wear the inner jacket. We highly recommend one triclimate jacket for your hike to Machu Picchu. The weather on the Inca trail is unpredictable. We hiked in June, one of the driest months of the year and yet it rained just a few days before our arrival. So no matter the time of the year, it is best to play it safe and pack a light-weight rain jacket . One rain jacket is perfect. A swim suit is only necessary if you plan to visit the thermal pools in Aguas Calinetes after your trek to Machu Picchu. Though these thermal pools sounds amazing after a four day hike, we actually do not recommend it. Our friend went two years ago and got an infection from the thermal pools. Then when we went, Christina and Adam ended up getting hospitalized for three days because we were tested positive for an amoeba parasite. A neck gaitor can be very versatile for your trek to Machu Picchu. It can protect your neck from the sun and keep it warm during the coldest times of the trek. Christina opted for a scarf, but having a neck gaitor would have been better because of its light weight material. Gloves are essential when packing for the Inca trail because it is cold for more than half your entire four day trek. There are hundreds of different types of gloves to choose from, but you want to pack gloves that are insulated, lightweight, breathable, waterproof and wind resistant with a soft/hard shell. Keeping your ears warms for the hike is important because of the high and cold winds you will endure on some parts of the Inca trail. You also want to keep your entire head warm when you sleep because it will help regulate your entire body temperature. When your head, hands and feet are warm, your body will remain warm. So with this being said, if you are like Christina and hate it when your beanie keeps moving off your ears when hiking, definitely pack both ear muffs and a beanie for the Inca trail. In addition to cold climates, you will also experience hot and sunny days during your hike. So you will want to pack a hat to protect yourself from the sun. All three of us prefer wearing a baseball hat for our trek. Everything we mentioned above is important, but footwear is probably the most vital part when packing for the Inca trail especially if you are prone to blisters! Christina is an expert at getting blisters instantly, so we have all the tricks to prevent them for this long four day trek to Machu Picchu. We cannot stress enough how much of a difference merino wool socks make when packing for the Inca trail. They are the best trekking socks because they have great breathability and wicking material to keep moisture away from the foot. Keeping the moisture away will help prevent blisters during your long, challenging 7 hour hiking days. We recommend packing at least four pairs. If you are prone to blisters, like Christina, we highly recommend you pack silk socks in addition to the merino wool socks. The silk socks are extremely thin, so its sole purpose is to prevent blisters by decreasing the friction between your skin and shoe. We recommend packing at least two pairs. Of course, a great pair of hiking boots is the number one thing you need for this hike. Whether you are purchasing a new pair or wearing an old pair, make sure you break them in several weeks beforehand. The hiking boots inner sole should be well worn and fitted to the shape of your foot. The best pair of hiking boots for the Inca trail should be medium weight and waterproof. If you have poor ankles, we recommend hiking boots with medium to high tops or wear ankle braces with your hiking boots. Even on this epic four day hike, you will experience some wear and tear to your hiking boots. In addition, anything can happen during your hike, so be prepared. We recommend packing an extra pair of laces for your hiking boots. After a seven to eight hour hike you are going to want to air out your feet, so we recommend hiking sandals . You will also want to wear hiking sandals to simply walk around the campsite. 2nd Skin Blister Kit and Rocktape Blister Kit . The Rocktape Blister Kit is to prevent blisters, so you tape your hot spots before you begin your trek. The 2nd Skin Blister Kit is better for when you have blisters. The bandages help cushion and lessen the pain of the blisters. Now that we have covered the importance of clothes and footwear, lets discuss the gear that is necessary when packing for the Inca trail. Everything in this section is to help make the hike more enjoyable and easier for you. Nothing is required, but highly recommended. You will definitely need one of the best trekking backpacks for this hike. Even if you hire a personal porter, you will need to have your own 30 – 35L backpack . If you do not have a personal porter, then you definitely need a full hiking 40 – 45L backpack . Your backpack should be light weight, weather resistant and multi-size with extensive storage pockets, adjustable padded straps and waist belt. We cannot stress enough how important it is to have a waist belt, it helps transfer the load weight off of your shoulders tremendously. Trekking poles were very handy for us during the hike. It allowed us to have extra muscle to help us hike the extremely steep Inca steps. They also helped us keep our balance when we would go down the Inca steps. If you do not wish to pack these during your long flight, check with your tour company because they may have trekking poles available to rent. Hydration is the most important thing during the four day Inca trail. So we highly recommend a CamelBak hydration reservoir . It was so easy to hydrate ourselves with the reservoir rather than fiddling with a water bottle. Depending on how much water you consume during activity, the 2L reservoir should be plenty. Another great alternative is a collapsible water bottle. They are lightweight, eco-friendly and versaitle, so perfect for packing for the Inca trail. Furthermore, during your lunch breaks and every morning, your tour company can always refill your water bottles. We were surprised by how necessary a head lamp was for this trip. A headlamp is needed every night at the campsites, for possible night hiking and the morning of the last day. On the last day, you will be hiking in the dark for around two hours. Getting around the campsite without a head lamp is not too bad if you have your phone, but when you have to use the bathroom it becomes extremely necessary. This is no joke! Going to the bathroom in the dark at the poor camping conditions is merely impossible, especially for women. The head lamps are also useful as a hanging light in your tent. So yes, a head lamp is required when packing for the Inca trail. Again, the weather on the Inca trail in unpredictable, so even though you may have a waterproof backpack and a rain jacket, a backpacker poncho cannot hurt. It is lightweight and barely takes up any space, so there is truly nothing to lose but a few dollars for comfort. A sleeping bag is definitely essential for the four day hike to Machu Picchu. If you are planning to pack your own, that is perfectly okay. Just make sure it’s the best sleeping bag for cold weather. It should be able to withstand temperatures of 0 to 30 degrees. We were able to rent ours from our tour company and they supplied us with exactly the kind of sleeping bag we needed. Do not forget to pack a pillow ! Nothing is worse than a sore neck from not sleeping right. Everything in this last section are suggestions based on our personal experience. We definitely recommend everything as we felt they made a huge impact on our successful trip. A micro fiber towel is only needed if you plan to take a cold shower at the campsites or to help refresh your face and body with water. If you are like us and do not want to take cold showers, but stay somewhat clean during your hike, then baby wipes are needed when packing for the Inca trail. One pack is plenty. We shared one amongst five people. Pack the essential toiletries you need every day. Always try to minimize your daily toiletries in small containers/bags. You will be going through a lot of stinky and sweaty clothing items during your hike, so a laundry bag is recommended when packing for the Inca trail. The laundry bag should also be waterproof. Having your own toilet paper is essential when hiking the Inca trail. The bathrooms at the campsite do not have toilet paper so you must pack your own. One large roll should be plenty for one person. Please pack some hand sanitizer ! You will be exposed to new germs in a new environment, so hand sanitizer will help tremendously. We recommend applying it to your hands frequently. If you wear contacts, we recommend packing a compact mirror . Ideally, you always want to work with contacts in a clean environment, but you do not have that luxury on your hike to Machu Picchu. Going to the bathrooms to try and put in or take out contacts is not possible, so you have to do it inside your tent which is not an easy task. Ladies, an urination device may be essential when packing for the Inca trail. Most of the bathrooms on the Inca trail and campsites do not have toilet seats, it is only a hole. Therefore you must squat. As a woman, it is very uncomfortable and not easy to pee into a hole, so Christina highly recommends a urination device. The tour company will supply a first aid kit, but it is only the basics (band aids, Neosporin and gauze). So we suggest making your own first aid kit and medicine kit at home when packing for the Inca trail. We packed materials and medicine we always need based on previous trips. An example of our medicine kit includes: Advil, Vitamin C, cold medicine (day and night), Benadryl, cranberry pills, UTI pain relief and Pepto-Bismol. Altitude sickness is no joke! We strongly recommend speaking with your doctor before your trip to get prescribed altitude pills or you can find over the counter ones. Otherwise you may be able to find similar pills in Cusco. The tour company will also provide coca leaf tea in the morning and night which is a natural remedy for altitude sickness. You will lose a lot of electrolytes during the hike, so we highly recommend packing electrolyte packets to add to your water for the hike. There are flavored electrolytes to make it taste good. Shelby had watermelon electrolytes from REI and it made her water taste like watermelon bubblegum! Shelby’s nurse recommended that baby Tylenol can help with your blood flow when trekking on a high altitude. One pill a day is all you need. Packing SPF chapstick is highly recommended. We once heard that someone got sunburnt on their lips because of the sun and the high altitude going up! That does not sound fun at all, so we applied SPF chapstick constantly for sun protection and because the climate is dry. Try to find the highest SPF chapstick as possible. Sunscreen is very important and should be applied every morning and lunch break. The sun is extremely hot as you ascend the mountain at higher altitudes. Hiking the Inca trail is a low risk Zika environment because of the high altitude, but you should not take the chance. There are a lot of mosquitos on the last two days of the hike, so we recommend packing bug spray with Zika repellent and always applying it. Your tour company will provide daily snacks, but we still recommend packing your own hiking snacks for the hike. We recommend beef jerky, fruit snacks, power bars and trail mix. They are easy to pack and help provide carbs and protein. Believe it or not, there is downtime during your four day hike to Machu Picchu. We had a lot of fun playing cards with our fellow group members. We would play before dinner at the campsites and on the long train journey to Cusco. It is a great way to relax and have fun amongst your new friends. We know that this hike is about unplugging, but we would use our phones and GoPro for taking pictures and capturing videos. So if you plan to use your electronic devices a lot like us, a power bank will definitely come in handy. We recommend this power bank because we can get seven charges on our iPhones! We hope this guide on packing for the Inca trail has been helpful and your one stop shop for everything you need. If you have any questions, we are happy to answer them and help in anyway we can. We know you will have an amazing once in a lifetime trip that you will never forget! I did this adventure, oh, probably six years ago now. I was solo, but I ended up meeting some of the most fantastic people I still talk to today! By the way — love love love your photos! Thank you. We met some great people as well while hiking the trail. This is an excellent list! So many great products. I’m a big fan a reversible sports bras that way you can take even less of them. Thank you very much. I thought the same thing about the sport bras. Great list but with my bad knees I think I would need a few personal porters. That way they could pitch in and carry me. We were extremely thankful for the porters. Without them we could never have finished the hike. This is a really thorough list. Good job guys. I really think that you’ve covered everything! I would also say take one good lightweight book with you because finding a few free moments – with a spectacular view in front of you – is really one my favourite reading opportunities. A book could definitely be great to bring. There were so many incredible places to stop along the way and just soak up the moment. This post is so handy. I actually just shared it with a friend who’s hiking this route next week! It’s definitely handy to know about the rock pools. I think I just spoiled my friends trip by saying swim at your peril! lol. Thank you for sharing. This is a really great guide! A ‘she-wee’ is a must for a lot of outdoor adventures so I’m glad it got a mention here too!! I’ve also never thought to buy silk socks for blisters. You’ve added a lot to my shopping list here, thank you! We wish we would have known about a lot of these before we left, especially the bathroom parts. The silk socks definitely helped Christina because she gets blisters very easily. This is an excellent guide to packing for the inca trail. I’d love to do this myself one day, and will be prepared having read your guide. I’d never think about silk socks before for this, but now will! I hope both of you are recovering after the parasite episode, how unfortunate! It sounds quite terrifying, so I’d avoid any swimming there! We didn’t think about the socks until we went to a sporting goods store and they suggested it. They definitely paid off though. Ya we didn’t enjoy the parasite part at all. We wish we had known about some of these before we went. Would have saved us some frustration. We hope our list helps people prepare for their hikes. What a great adventure – and comprehensive packing tips to go with it. We can definitely attest that choosing high tech fabric socks and underwear make a huge difference in long-term comfort, temperature control, and easy washing. For everyday use they aren’t necessary but for a long hike like this they are definitely needed. We would not have been nearly as comfortable without them. This is so awesome! I lived in Peru for 9 months and always wanted to do the Inca Trail, but ended up taking the train. I’ll definitely have to make it back to try the trail and I’ll be using this list when I do for sure! You definitely have to do the trail some day. You will not regret it. Come back and use this guide whenever you go. Ya we agree. You definitely need most of these for any time of year. Please feel free to ask us any questions. The experience is amazing but you want to make sure you have prepared for everything. Hi Christina and Adam. Wow! 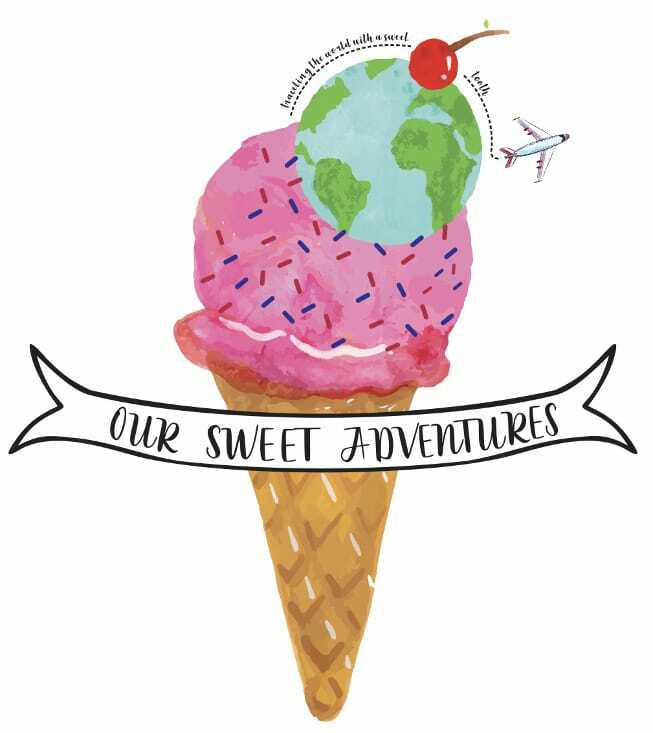 I agree that it’s Sweet Adventures of you! I’m really interested in the adventures. With my honest, I’ve never gone hiking before. Could you give me suggestion for a beginner? What should I prepare for the trip and items? By the way, I love to look around natural scenery and wild animal, so I think to get one binocular which help me watch longer distances, and through a difficult landscape. I have a look here http://www.pirt.org/best-binoculars-hunting/. What do you think it is an essential item? Thank you in advance for your suggestions. We apologize for our late response. It got lost in the new posts.